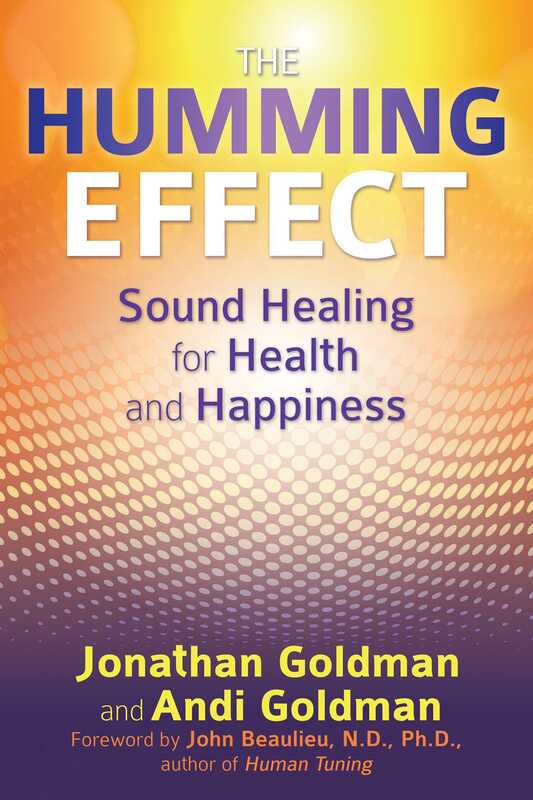 In our last chapter we presented basic exercises that would allow you to begin to experience the sensations of humming in your body. We had you experimenting with humming as a monotone, with different pitches, and even as songs to see if you could feel the vibrations of your self-created sounds in your body. In this chapter we will be focusing on adding the power of intention to the hum, creating conscious humming. As we’ve previously noted, our thoughts really do matter. You’ll be adding the element of visualization or imagination as you hum. You may find that this component immensely increases your ability to experience the sound as well as enhancing the healing power of your hum. As our formula “Frequency + Intent = Healing” indicates, intent is as important as the actual sound you are creating. When humming, the physiological benefits alone can do remarkable things. When you add the component of intent (belief, visualization, or whatever you wish you call it), extraordinary things can happen. From personal experience, when we’ve had a pain or discomfort--it can be in our head or anywhere in our body--and when we’ve focused the attention of our hum to that area, often (and usually quite surprisingly) these discomforts will disappear or at least diminish. This could be because of the release of nitric oxide or the production of endorphins or through relaxation or because of some other physiological factor. No doubt these physiological benefits occur whenever we hum. However, from our own experience, we understand that the intention placed upon the sound is a crucial component. Something powerful and important occurs when we hum with conscious intention. Encoding Intention In this exercise we will combine the physical act of humming with our conscious intention. Often we’ll be guided to our intention within the first few moments of focused breathing. At other times it may feel difficult to narrow our focus down to one single concept. If this is the case, remember that this is only a beginning and that tomorrow you can work on another aspect of intention. Simply choose one to start. We suggest that you allow 15 minutes for this exercise--5 minutes for humming--5 minutes for relaxation--5 minutes for grounding. Please limit your actual humming to about 5 minutes. • Continue humming, knowing that you have a purpose--your intention has been set. You are engaged in conscious humming. • Now, sit quietly for as long as you’d like, noticing any changes in your body--tuning in to anything that you may have experienced while doing this exercise. • When you feel ready slowly open your eyes. Give yourself enough time to become grounded and present in the moment. Allow yourself the wonderment of this state of being--enjoying this relaxed state can be very healing. Often the first experience of conscious humming is quite profound. Can you feel a difference in your physical, emotional, or mental body after doing this exercise? Were you successful in encoding your intent onto the sound? This can be a very powerful exercise--especially the first time you do it.